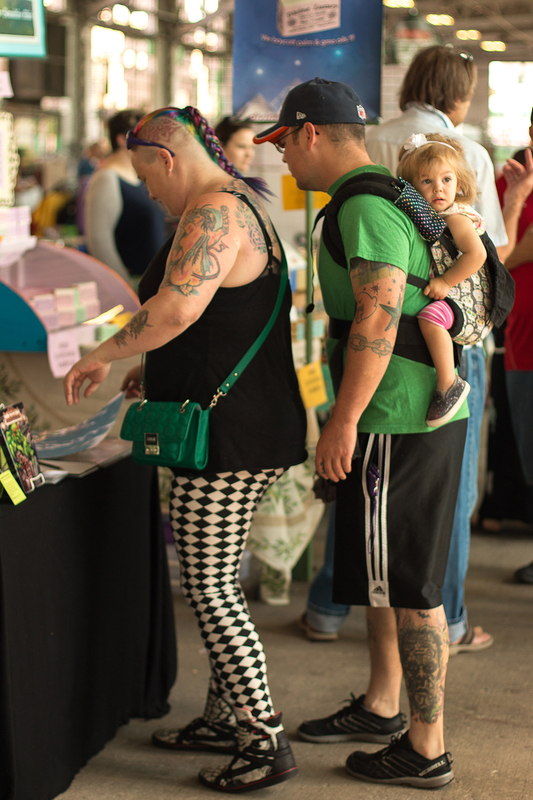 The Albuquerque Rail Yards Market is open on Sundays from 10AM – 2PM from May through November. It’s located in the downtown Barelas neighborhood. Vendors offer locally grown vegetables, fruits, flowers and herbs; locally produced baked goods, honey, tortillas, popsicles, leather goods, and artwork. There is valet parking for bicycles. All sorts of people co-mingle there, and yes, it offers plenty of good people watching. Let’s start off with a view of this young family. Nice, the family that shops together stays together.